After a series of tell-all podcasts, CM Punk ignited the biggest pipe bomb Saturday night at UFC 181, alongside Joe Rogan, to reveal that he had signed a multi-fight deal and will start competing in the octagon in 2015 either in the middle-weight or welterweight division. CM Punk signs multi-fight deal with UFC. A major shock wave that “broke the internet” once again, CM Punk is fulfilling a dream to see what he is capable of as a fighter. While many wrestling fans might be sad with the sudden news, it’s what’s best for Phil Brooks as UFC is his new career path. He’s been training in jiu-jitsu and mixed martial arts, and after this past Saturday he says its full steam ahead. From the squared circle to the octagon, CM Punk’s career switch has brought on a lot of mixed reviews, especially from the “internet wrestling fans” and “internet MMA fans”, …is that a thing? Personally, I just want to see the man compete. Win or lose, I’m still going to cheer for him. I may not be a fan of MMA, I’ll watch it every now and then, but Punk is Punk. And I’m a fan of CM Punk. Exciting news for Punk and also exciting news for Kevin Steen who finally debuts this Thursday live on the WWE Network on NXT. The former ROH World champion, now going by the name Kevin Owens, an homage to Kevin’s favorite wrestler Owen Hart, has been advertised for NXT Takeover [R] Evolution. 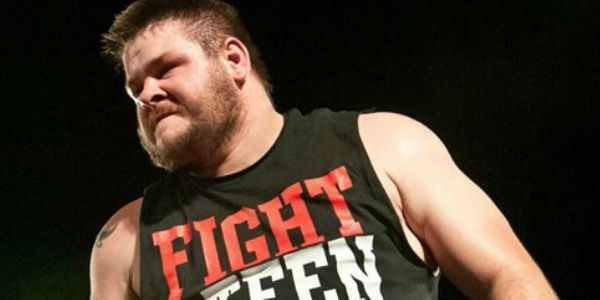 Kevin Owens will finally make his debut at NXT live on the WWE Network. He’s been a long time favorite of mine, having seen him compete for both Ring of Honor and Evolve Wrestling. Kevin Steen may not have the typical appearance of your average WWE Superstar, but after you see his moonsault off the top turnbuckle, you forget everything you ever knew. While CM Punk may have been the best on the mic during his WWE career, Kevin Steen was the best talker, in my opinion, in the independents. Now that Punk is out and Steen is in, the WWE Universe are going to be amazed by how great he is. For both CM Punk and Kevin Owens, they have set out to do one thing, and that is to FIGHT! About the blogger: I’m an avid fan of pro wrestling and all of its layers of athleticism and entertainment. I also love to read and write, which is why WrestlingTimesX will come across as different from anything else that you read on the web. My mantra on wrestling, in any state, is to love it then, now, and forever.